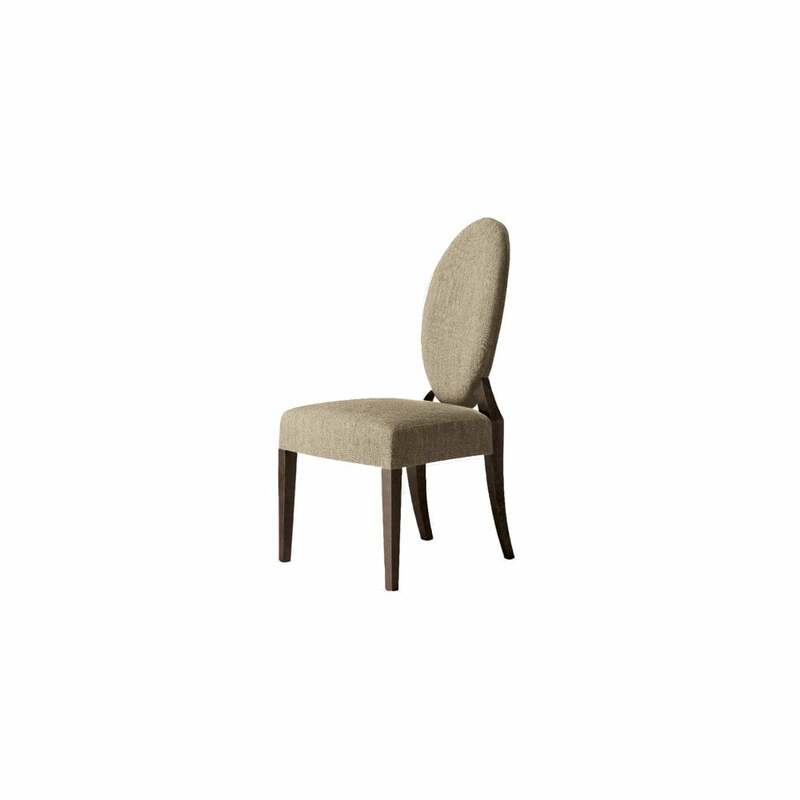 Designed by architect and designer Lorenzo Bellini this sculptural chair with elegant silhouette boasts a solid beech frame and contoured upholstery with piping. With tapering legs and impressively delicate design this piece would sing on its own or look fantastic in a group. Available in fabric choices shown or COM this piece could easily transform any formal dining or seating area.